How many acts can someone fit into a life? If you’re Etta Moten Barnett, enough to make up an epic play. From a young wife and mother to a trailblazing Broadway and Hollywood star admired by George Gershwin and Franklin D. Roosevelt to an ambassador to Africa and an important Chicago hostess and patron, Barnett filled her 102 years with an extraordinary amount of life. 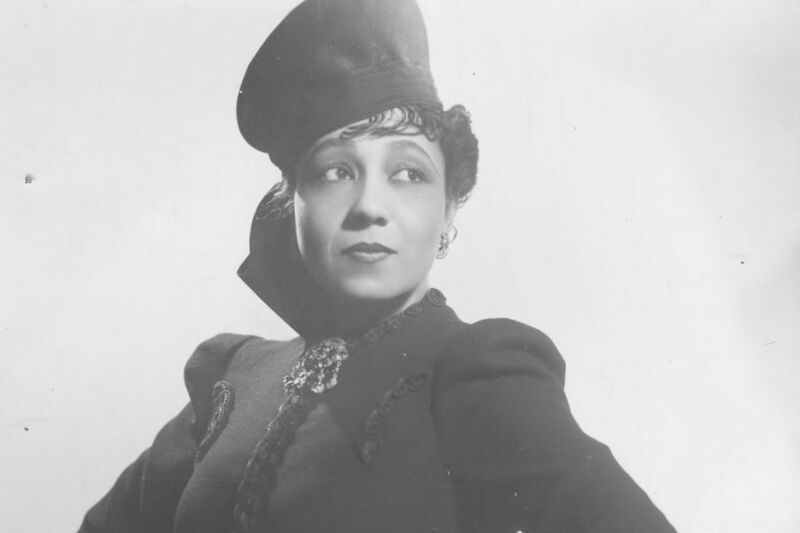 Born in Weimar, Texas in 1901 to a minister father and schoolteacher mother, Barnett began singing as a child and by her teens was already a performer. Her college-educated parents encouraged her to get a degree, but any chance of that or a performance career seemed to be cut short when she married a World War I veteran at age 17 and had three daughters. Yet, after six years of marriage, Barnett made her first bold, life-redefining move: she divorced her husband and enrolled at the University of Kansas to study voice, drama, and education, relying on her parents to help her raise her children. She was one of about 150 African Americans in a school of almost 6,000 students.